Going to workplace might be one of the discouraging thing to do because you have to endure annoying transition from your peaceful bed into the crowded traffic. However, it is not always that way, and the solution for your discouragement is simple: bicycle. ‘Bike to work’ has been a global movement that encourages people to go to workplace using bicycle. At first you might think it is a waste of time and energy that will make you even sadder. You might also think that cycling to work is dangerous because you are more prone to bigger vehicles. But in fact, people who join the movement feel the opposite way about it. That’s why, cycling become a trend in many parts of the world. Infrastructures supporting the activity such as special lanes and special parking spots also have been built in many cities. So, what are the benefits of cycling to work? 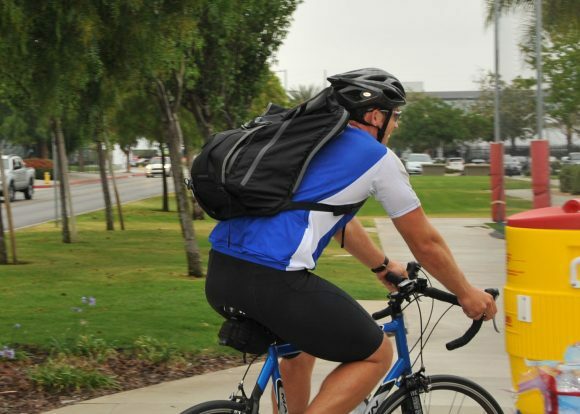 We will give you some of the innumerable benefits that will change your point of view about riding bicycle to work. Riding bicycle will allow you to visit some places you aren’t allowed to when you are riding a car. And in those places, you will find the real beauty of your neighborhood. Since bike is silent, you can enjoy the sound of birds singing on the trees and the laughter of children. Moving on from your neighborhood to the road, traffic jam is one of many causes of stress in workplace. And by riding a bicycle you will be thankful of not being stuck in the traffic. You will be allowed you to keep on going through the traffic jam and actually it is another way to reduce your stress level. Biking is also another kind of exercise, and many studies has shown that exercising can reduce stress and symptoms of depression, improve your sleep patterns, and also fight anxiety. Not only that, exercising is also an instant boost to your mood. Thus, think about it, riding bicycle to work will reduce your stress level and make you happier compared to riding a car. Why don’t you try to escape your ‘pathetic’ routine, try to ride a bike to work, and see how much changes it will bring you. As stated above, riding a bike is a kind of exercise, and exercising will make you healthier. That’s a common sense. You might feel exhausted and some sore muscle in the beginning, but as you are accustomed to it you will feel much better than before. 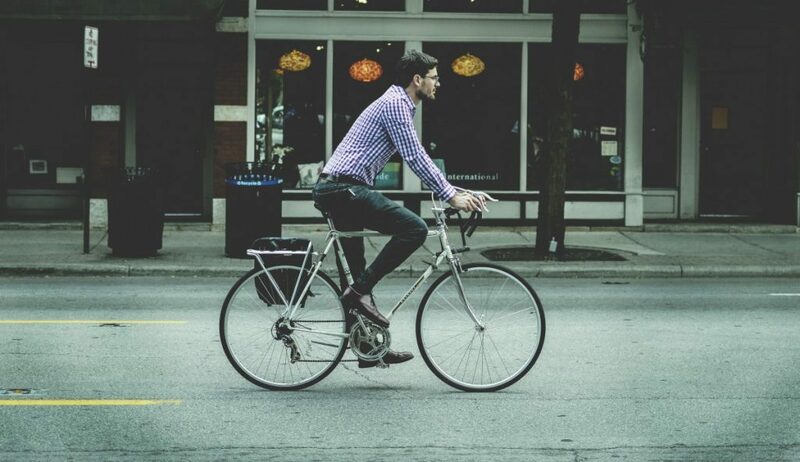 A study showed that cycling will make you six times healthier using other commuting methods. It will burn some excessive calorie and fat from your body while you are going to work. Riding bicycle will also improve your cardiovascular fitness, stabilize your blood pressure, build your muscle, and also boost your energy. 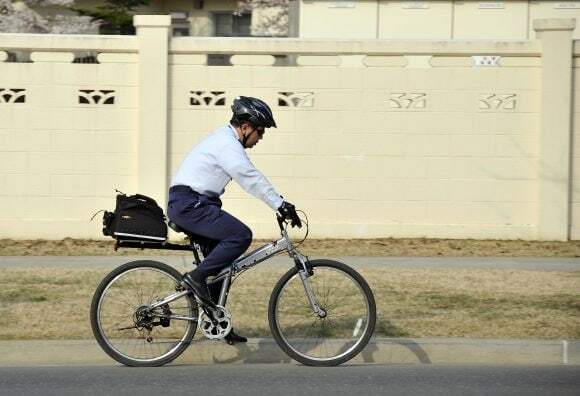 If you think that’s all the benefits you get from riding bike to work, you are wrong. 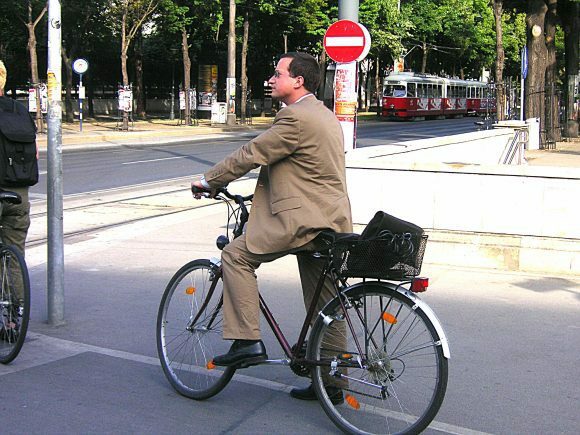 Another thing you have to note is that riding bicycle to work will make you smarter. However, it doesn’t mean that cycling to work for a week would instantly make you an expert physicist. What it means is that at least you will do better at your job. Moderate daily exercise will help you to avoid getting cognitive decline and will sharpen your memory. Overall, it will improve your brain performance, thus you will be able to handle your tasks better. How much cash do you spend regularly for fuel or commuting tickets? A data from 2015 showed that average American household spend almost $2000 just for fuel and another $9000 for the vehicle maintenance annually. That’s a lot of money to be thought. Compared to the price of bike which is ranging from $150 to $1500 with maintenance cost only about $50 if you are not really into repairing your bike by yourself. It means that you can buy at least 5 new bike every year if you give up using your car. In addition, cycling to work will also help others save some money. 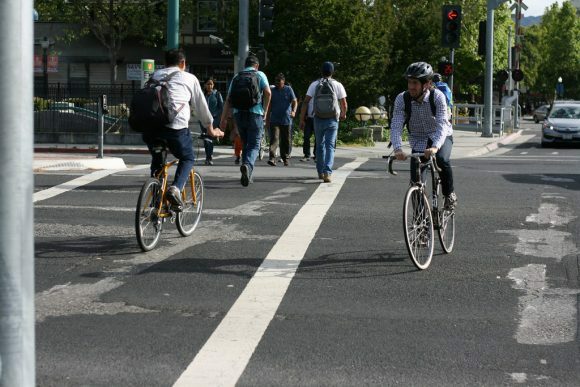 An analysis done in 2011 showed that biking investment done in the city of Portland, United States may save about $388 to $594 million dollar in individual healthcare by 2040. If bike to work becomes a global culture and done in every single city on earth, nations will have more stable economy. So, if you size it down, by taking a bike to work you already help your city, region, and country to save some money in healthcare. More than quarter of carbon emission that results is greenhouse effect came from transportation models that run on fossil fuel. Not only that, those vehicles also account for 70% air pollution in big cities all around the world. A study calculated that we can save more than 6,000 tons of CO2 emission every day if we ride bike instead of using car for trips under 5 miles. That amount of carbon equal the CO2 emission produced from heating about 3,000 houses. Imagine how much you contribute to your city’s pollution each day, week, or year. You might have never realized about those numbers since the emission of your vehicle is thrown away from the rear side of your car. On the other side, riding a bike contributes nothing to those bad things. You can go anywhere far or near without worrying about the carbon trace you are leaving behind. So, simply we can say that riding bicycle will help you to contribute in saving the earth from air pollution and greenhouse effect. Not only the air quality is improved, you are also able to save equivalent of about 3,000 miles worth of fuel if you ride your bike to work for a year. That’s enormous amount of unrenewable energy saved. So, after reading about those benefits that you can get from riding bicycle instead of using cars, are you thinking to try riding bicycle to work?